In the wake of the subprime crisis, significant attention has focused on the links between subprime lending and mortgage default, and the disproportionate impact of foreclosures on communities of color. However, there has been less attention to lower-income and minority homeowners who have remained current on their mortgage payments despite the housing crisis and resulting Great Recession. In this presentation, I will discuss new research that explores the refinance behaviors of lower-income and minority homeowners who bought homes during the subprime boom. On the one hand, subprime lending—in which higher borrower “risk” is priced by the lender by charging a higher interest rate—could be seen as improving credit allocation and the positive externalities of homeownership by providing access to credit for those who would otherwise be excluded. Yet if subprime borrowers are less likely to refinance, or refinance into another higher-priced loan, then the benefits of risk-based pricing may be muted. To date, very little research has focused on these equity implications of risk-based pricing, particularly after the subprime boom. Using both quantitative and (preliminary) qualitative data, this research shows that minority homeowners are much less likely to refinance than comparably situated white homeowners, despite the financial benefits of doing so. It also reveals the multiple barriers that minority homeowners face in refinancing their home. I argue that these differences in the continuing costs of credit leads to material differences in equity accumulation over the long-term, exacerbating the wealth gap between whites and communities of color. In this way, risk-based pricing only serves to further cement and perpetuate a long legacy of racial inequality in housing and mortgage markets. I conclude with a discussion of the implications of this research for risk-based pricing in the mortgage market. Carolina Reid is an Assistant Professor in the Department of City and Regional Planning at the University of California at Berkeley. Carolina specializes in housing and community development, with a specific focus on access to credit, homeownership and wealth inequality. She has most recently published research on the impact of the foreclosure crisis on low-income and minority communities, the role of the Community Reinvestment Act during the subprime crisis, and the importance of anti-predatory lending laws for consumer protection. Carolina is particularly interested in interdisciplinary research and the integration of qualitative and quantitative methods. In the year 2001, the Government of the state of Rio Grande do Sul, located at southern Brazil, established a regional development policy to create and foster regional strategic networks, called Cooperation Networks Program (CNP). Since 2001, CNP has built over 200 RSNs, which join 3,000 local firms from diverse industries and segments such as hardware stores, drugstores, hotels, restaurants, furniture factories, rice producers, and software developers. The longevity of this initiative has established a rich empirical field for the study of strategic networks and regional growth. The CNP initiative, it’s main features and achievements over the last 15 years will be briefly presented and discussed in the IURD research-in-progress seminar. It will be also an opportunity to address some open questions about CNP and explore the possibilities for joint research projects. Professor Jorge Verschoore is a senior Professor and researcher at Unisinos University, a policy advisor for the State Government, and leader of Geredes/CNPq (Brazilian Group for Inter-organizational Network Studies). Before joining Unisinos, Dr. Verschoore worked as a local development policy maker for the Government and helped to create and coordinated the national awarded “Small-firm Network Program” for six years. He has written books and articles on the Social Science field, concerning regional development, organizational management, cooperation, and networks. His main interest nowadays is related to network governance, cooperative strategy, sustainable development and social network analysis. Bus rapid transit (BRT) is an innovative bus system with sophisticated vehicles and inflexible busways integrated in the cities, high capacity and high quality, high speed and frequency, distinctive image and comfort. Many in Sweden believe that is impossible to introduce BRT, even though the Swedish towns and cities can benefit from the image, speed and frequency that BRT symbolizes. The archipelago- like urbanization, urban sprawl and the uncompetitive journey times of public transportation compared with the private car are identified as main obstacles. From that context a set of new questions emerged: If the cities are not designed for BRT, is it possible to transform and redesign the Swedish towns and cities for BRT? What demands BRT? 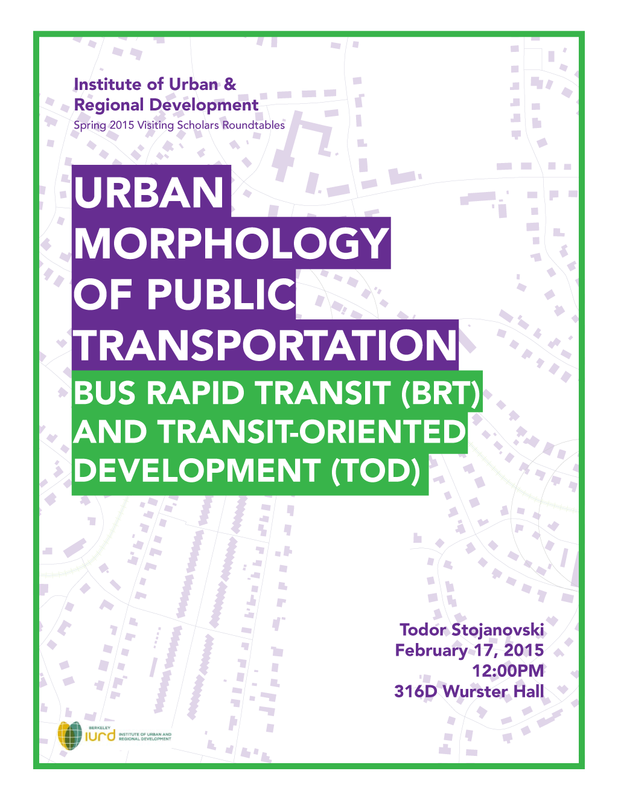 How is Transit-Oriented Development (TOD) applicable in a Swedish context as a policy to integrate cities and BRT? In my research I investigate the interrelationship between BRT and urban form, between public transportation and neighborhoods. Much has been written about BRT, but seldom by architects and urban designers. BRT, TOD and BRT-TOD HERE are seen though (elements of) urban form and processes of urbanization within a morphological traditions established by M.P.G. Conzen, Kevin Lynch, Christopher Alexander, etc. To find regularities of the effect of public transportation systems on cities I do a historical overview of the Swedish towns and cities. The morphological analysis shows that there are four principal “public transportation cities” or TODs with different characteristics. The American TOD and European “compact city” have so far preferred and applied only one model or principal “public transportation city”. The possibility of implementing BRT-TOD in Sweden is discussed furthermore in a context of today’s modern society and its “‘system’ of automobility” (or widespread car society) and the emerging knowledge society and its postmodern fringes of urbanization (European compact cities and neighborhoods). I am a PhD candidate at KTH Royal Institute of Technology where I research about BRT (Bus Rapid Transit) and TOD (Transit-Oriented Development). I have background in architecture (MArch at University Ss Cyril and Methodius, Skopje, Macedonia), MSc in built environment (environmental engineering and sustainable infrastructure) and Licentiate in infrastructure (traffic and logistics) from KTH Royal Institute of Technology, Stockholm, Sweden. Building and Real Estate Department, Hong Kong Polytechnic University, Hong Kong. Villages in city (Chinese: 城中村; also called “Urban villages”) normally with undesirable environmental and social conditions surrounded by high-rise buildings and other modern urban constructions in big cities are a unique phenomenon of China’s urbanization. Villages in city emerge due to urbanization issues of uncoordinated development, economic migrants, household registration (hukou), urban-rural conflicts, land ownership system, relocation for urban renewal, local people’s livelihood, identity of local history/culture and internationalized city etc. The talk will cover some of these urbanization issues in the context of urban villages in China to explore key research questions. How are these urban villages in China different from typical urban slums that exist in big cities around the world? 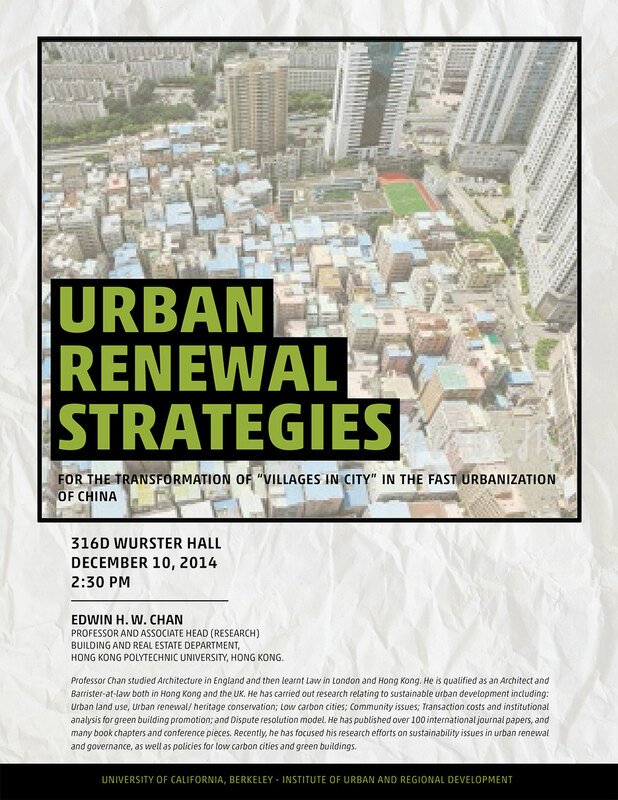 Do they deserve special consideration in the urban renewal strategies of China? What role will they play in the city development? What are the controversies in transforming these villages into the urban community? To what extent can the transformation models trail the contemporary urban renewal trend based less on destruction and more on renovation and investment? The speaker will share a case study of community planning for revitalizing villages in city. Professor Chan studied Architecture in England and then learnt Law in London and Hong Kong. He is qualified as an Architect and Barrister-at-law both in Hong Kong and the UK. He has carried out research relating to sustainable urban development including: Urban land use, Urban renewal/ heritage conservation; Low carbon cities; Community issues; Transaction costs and institutional analysis for green building promotion; and Dispute resolution model. He has published over 100 international journal papers, and many book chapters and conference pieces. Recently, he has focused his research efforts on sustainability issues in urban renewal and governance, as well as policies for low carbon cities and green buildings. 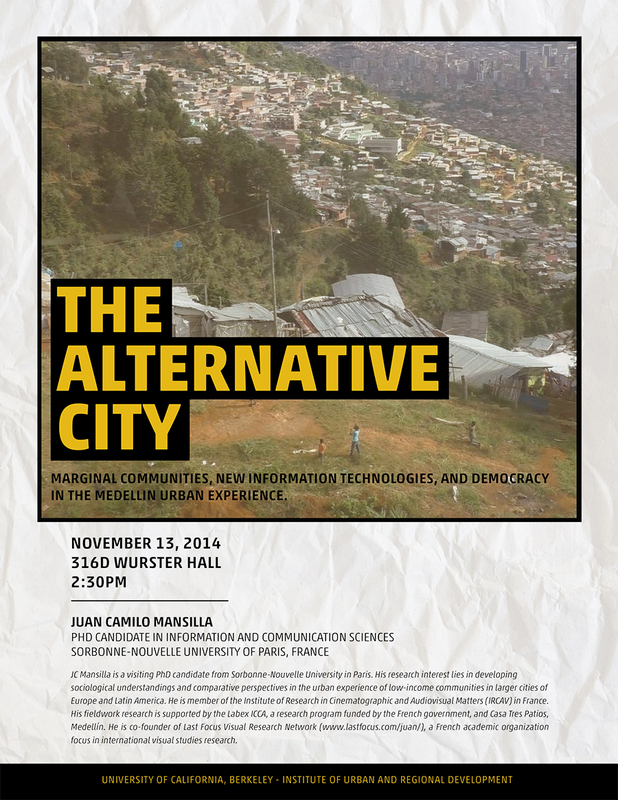 MARGINAL COMMUNITIES, NEW INFORMATION TECHNOLOGIES, AND DEMOCRACY IN THE MEDELLÍN URBAN EXPERIENCE. Sorbonne-Nouvelle University of Paris, France. JC Mansilla is a visiting PhD candidate from Sorbonne-Nouvelle University in Paris. His research interest lies in developing sociological understandings and comparative perspectives in the urban experience of low-income communities in larger cities of Europe and Latin America. He is member of the Institute of Research in Cinematographic and Audiovisual Matters (IRCAV) in France. His fieldwork research is supported by the Labex ICCA, a research program funded by the French government, and Casa Tres Patios, Medellín. He is co-founder of Last Focus Visual Research Network (www.lastfocus.com/juan/), a French academic organization focus in international visual studies research. Professor Yuko Aoyama received her Ph.D. from the University of California at Berkeley. She is an economic/industrial geographer with expertise in global economic change, technological innovation, industrial organization, and cultural economy. Her research interest lies in developing geographic understandings of global capitalisms from institutional and comparative perspectives. Through research on transnationalization of retailing and entrepreneurship, virtualization of logistics, as well as global competition in entrepreneurship and leisure/entertainment (the video game industry and cultural tourism), her work demonstrates how place specificity sustains market distinctiveness in spite of the increasing global integration of economies, in the USA, Japan, Europe, and India. Particular emphasis is placed on understanding how rationality of specific agents (i.e., users, consumers, entrepreneurs, artists) shapes contemporary market demand over time and across space, and how they in turn constitutes particular geographies of economic assets. 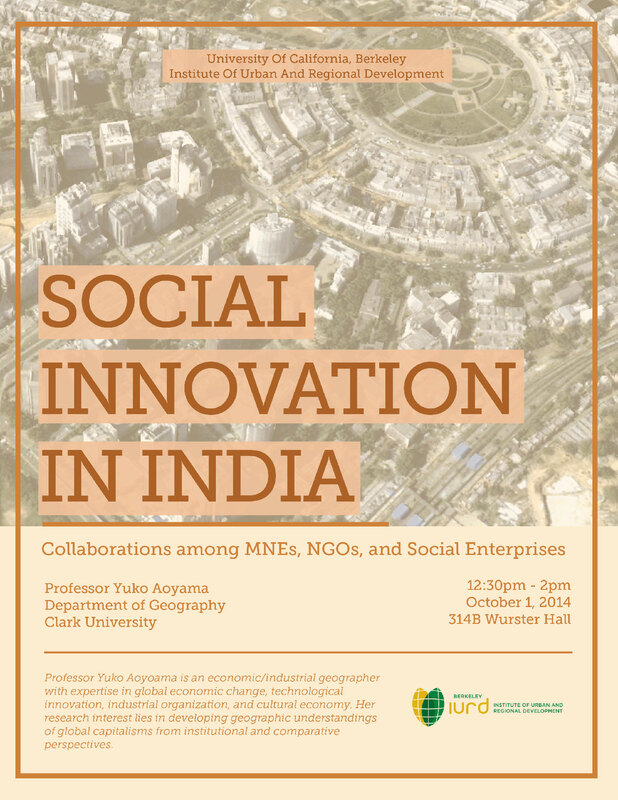 Her most recent research focuses on the R&D alliances between multinational enterprises and non-governmental organizations in India. Neighborhood issue may have a dominant role within the recent debates on urban planning, such as sustainable development, compact cities, urban consolidation and smart growth. Most of these debates have devoted to urban planning improvement at the city level, while neighborhoods can be the ultimate destinations. Sustainable development at the scale of neighborhoods requires further consideration and research. Changes in economic, social, environmental and physical factors have had significant negative impacts on the neighborhood efficiency in fulfilling residential requirements. In the context of policy for density increase, the main concern is the issue of carrying capacity at the neighborhood level. Decisions on density increase may have negative impacts on carrying capacity in neighborhood, resulting in the daily life of residents. Carrying capacity of a neighborhood requires the recognition and evaluation of many issues. Some established neighborhoods are known as identified, lively and in general, sustainable neighborhoods, such as many neighborhoods in Tehran. This research is an effort towards examining sustainable neighborhood development aspects, using a case study in Tehran. It is assumed that the principles and criteria of a sustainable neighborhood would be observed in these neighborhoods, such as identity, liveliness, reliance, symbolization, security, accessibility and conveniences. However, there is a serious concern regarding its sustainability in near future. The density of neighborhoods has been increased remarkably in recent years, likely to reach their thresholds, neighborhood decline, losing their identity and quality of life. While there are many sustainable neighborhoods having such futures, what is the planning response to this conflict, the needs of density increase and neighborhood quality? 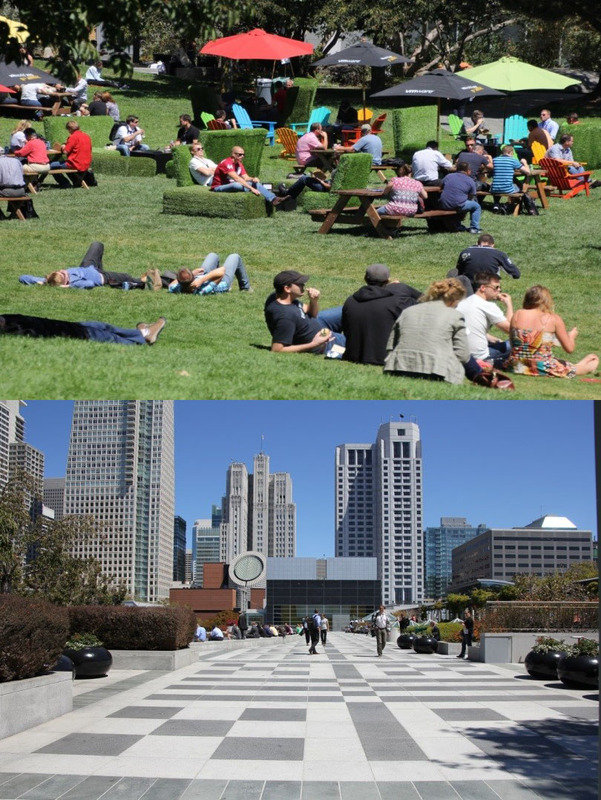 Cities are full of public open space – these include streets, squares, parks and sometimes bodies of water. Unfortunately, too many open spaces are bleak spaces and not really places; many appear to have opportunity costs and city-makers think ‘any open space in a city is a good thing’. The objective of this talk is to offer a sample of types of squares that are representative of the whole set in order to present an understanding of what has proven to be successful and what factors contribute to a less desirable square. Brief case studies are presented from which lessons can be learned for the future. This talk is based on an upcoming book by Nancy Marshall and Jon Lang on urban squares as places, links and displays. Dr Nancy Marshall is currently on sabbatical from her Senior Lecturer position in the Faculty of Built Environment from the University of New South Wales in Sydney Australia. She teaches urban sociology, social planning and local planning. She is currently researching how urban places are being activated through place-making initiatives instigated by tactical urbanism, public art, government sanctioned programming and the design of urban spaces such as squares, plazas and parks. 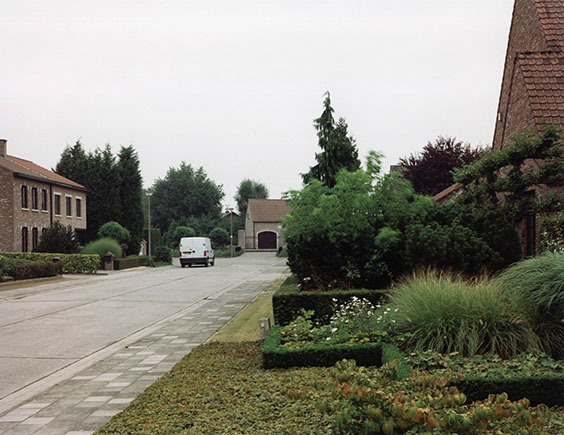 Recollecting Landscapes is an ongoing rephotographic survey project which documents a century of landscape transformation in Belgium (see www.recollectinglandscapes.be). It is based on the successive photography of sixty sites at three moments in time: 1904, 1980 and 2004. In 2014 a fourth series will be added. This presentation focuses on the transformation of the ‘everyday’ Belgian landscape and how it evolved through time. This landscape has as much been shaped by actions ‘from below’ made by millions of individuals, than by decisions ‘from above’, such as large-scale re-allotments and infrastructural works. The presentation consists of two parts. First, a close reading of a number of rephotographic series exemplifies how people transform their daily surroundings. Second, these practices will be framed by a historical and theoretical reflection referring to the literature on ‘everyday’, ‘ordinary’ and ‘vernacular’ landscapes. Bruno Notteboom is post-doctoral researcher at the Department of Architecture & Urban Planning at Ghent University, guest professor at KULeuven, Faculty of Architecture and visiting scholar at UC Berkeley, Institute for Urban and Regional Development (Spring/Summer 2013). He obtained his doctoral degree in urban and regional planning at Ghent University in 2009 with a dissertation on urban planning and landscape iconography in Belgium (1890-1940). His current research focuses on the iconography of city and landscape in the 19th and 20th centuries. Recently, he was the editor of a book on the Belgian urban photographer Edmond Sacré. He is a member of the Ghent Urban Studies Team (GUST) and of the editorial board of OASE Journal for Architecture. 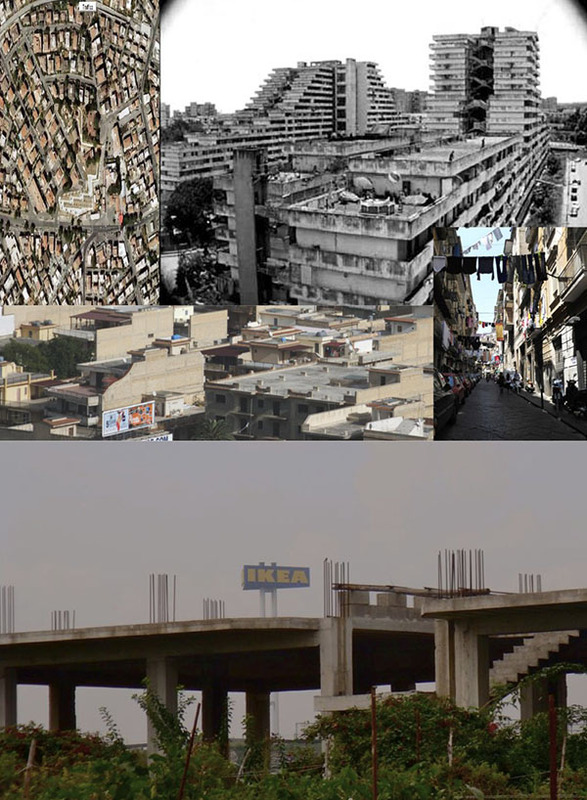 In contexts historically occupied by Organized Crimes (Mafia, Camorra, 'Ndrangheta and so on), urban planning regulations and practices are frequently directly or indirectly influenced by illegal interests with effects on urban space and urban planning processes’ implementation. In these situations, the public sector seems to have minimal ability to change or improve the quality of life in the cities in those situations. But this process is not a marginal phenomenon, and the effects are frequently critical to the state of affairs regarding public spaces and general urban living conditions. These conditions pose new questions to current planning theories (as we now know/understand them) and also because the literature has underestimated, for long time the relationships between urban practices and criminal/illicit and informal power structures. Daniela De Leo is currently a tenured researcher and Assistant professor in Urban Planning at the Dept. DATA-Design, Architecture, Technology and Environment, Sapienza University in Rome. She conducted research abroad at the DUSP-MIT, UoT-University of Toronto, University of British Columbia, Université Libre de Bruxelles. Furthermore she has conducted and coordinated some research activities such as the international Cooperation Project with the An-Najah University in Nablus, a project for the Urban Development in East Jerusalem, the pre-feasibility study for a development program funded by the Lazio Region, the preliminary for the Hebron Masterplan and the Province of Naples, the preliminary the PTCP-Territorial Coordination Plan of the Province of Bologna. Her current research focuses on conflicts and asymmetrical power structures as fields in which are faced some important challenges for the Planning Theories and Practices and which seem to be more evident and essential than ever. Human Rights and Architecture: Are Prisons the Exceptional Case? Can buildings be judged by international human rights standards, and what should we do about ones that don't comply? 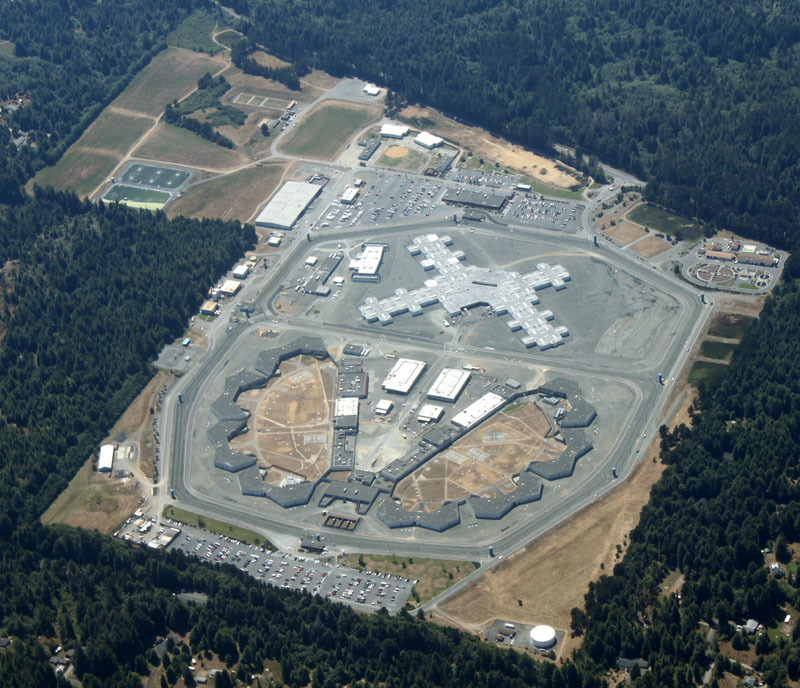 This talk will explore these issues with a special focus on U.S. "supermax" prisons and execution chambers, and present the effort currently under way to amend the American Institute of Architects' Code of Ethics to prohibit designs that violate human rights. Raphael Sperry, AIA, is President of Architects / Designers / Planners for Social Responsibility (ADPSR). He is the first architect to receive a Soros Justice Fellowship to advocate for design professionals to engage with issues of human rights in the built environment, especially in U.S. prisons. The place where most of Florentines live is not the attractive cityscape of the old town, nor the harmonious Tuscan countryside of rolling hills, olive groves and vineyards. It is the highly fragmented environment of suburban Florence, a landscape which most planners and politicians consider to be a problem or at best a regrettable necessity. In their mind, the “good” city is still the old city, compact and neatly separate from the country. 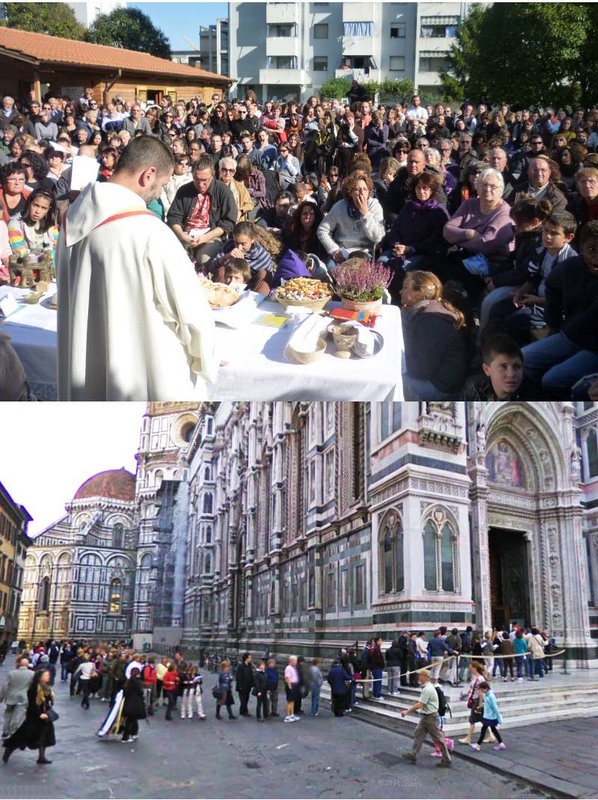 However, the center of Florence increasingly resembles a theme-park, an enclave of touristic consumerism, and the Tuscan country looks like a place where time has been frozen and space has been flattened to a purified a-historical dimension, tailored to the needs of wealthy international vacationers. In contrast, in the ordinary spaces of the outskirts people go on living their everyday lives, adequately fulfilling their social and material needs. Away from the hordes of tourists and from the fakeness of an embalmed past they can even pray to God. Giulio Giovannoni is a tenured researcher at the University of Florence in Urban Planning and Design and a former Research Fellow in Urban Studies at the Johns’ Hopkins University. His current research focuses on suburbs, with a particular interest in international comparisons. By fallow urban spaces we mean unused sites such as riverbanks, areas around and under urban highways, vacant lots, derelict lands, parts of the towns refused by citizens, neglected places, results from shrinking cities. Following the literal meaning of the word fallow, they are there waiting to be ready again for a new use, like a field plowed and left unseeded for a season or more. Apparently empty, they have inside themselves emergent ecologies ready to come out, to be studied, understood and revealed: special phenomena occurring just there. By researching on fallow spaces, we study how to transform them into sustainable hybrid landscapes, defining specific characteristics. Renata Valente studied in Universities of Rome and Naples and got her PhD in Technology of Architecture and Environment at Politechnic of Milan. From 1983 until 2003, her professional practice has included projects for master plans, recovery of cultural heritage buildings, dwellings, universities and schools, offices, public open spaces, National and International competitions on waterfronts. 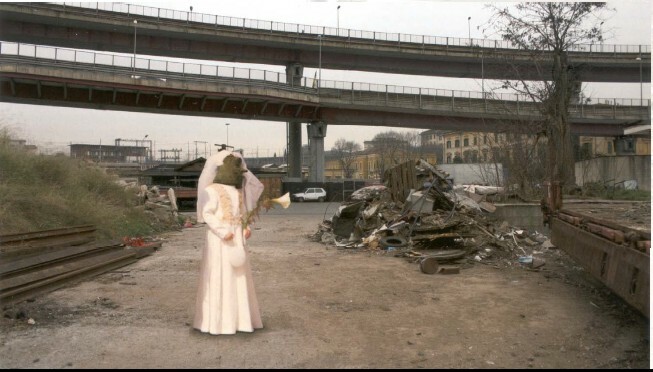 During the last twenty years she has researched about the reconfiguration of urban open spaces, the recovery of the margins between land and water and the renovation of primary urban viability, for the ecological rebalance of systems of open spaces adjacent to large road networks. Since 2000 she has been teaching Environmental Design at Second University of Naples and has given lectures in Italy and Europe. President Franklin D. Roosevelt issued Executive Order 9066 on February 19, 1942 creating the legal tool for incarcerating 120,000 ‘people of Japanese ancestry’. This mass incarceration is known primarily as a major abrogation of civil rights based on racial profiling. E.O. 9066 was the legal mode by which President Franklin D. Roosevelt delegated to the U.S. military the authority for the mass incarceration of 120,000 “alien Japanese and American citizens of Japanese ancestry.” In the spring of 1942, the U.S. government forcibly removed these people—including women, children, babies, the sick, and the insane—from the West Coast, Alaska and the southern half of Arizona. 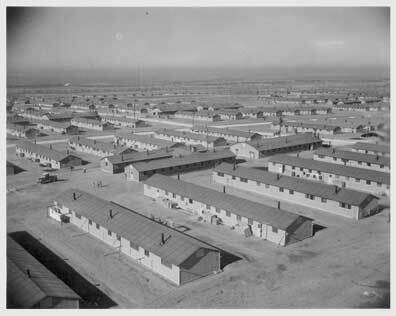 They were then moved into prison cities the U.S. government named Assembly Centers and Relocation Centers. I will review the planning for the prison cities that were built as result of E.O. 9066, focusing primarily on the Relocation Centers that developed into semi-permanent cities—major new cities sited in isolated rural areas. I will examine how E.O. 9066 created extraordinary and exceptional American spatial jurisdictions that trumped local, regional and state power working primarily through New Deal agency and federal networks established pre-World War II. I will speak briefly about the planning processes and site selection methods used for creating prison cities with new infrastructure on the tabula rasa of farm and desert land. The planet is not just urban, it is also covered with a 1000 cities, and many are on the prowl for new ideas. These places, each with a million or more in population, are feeling competitive pressures, and they are searching for new knowledge to help them get ahead and to solve their problems. In the process, they are setting the stage for innovation. This presentation covers findings from a recent survey of more than 50 cities. 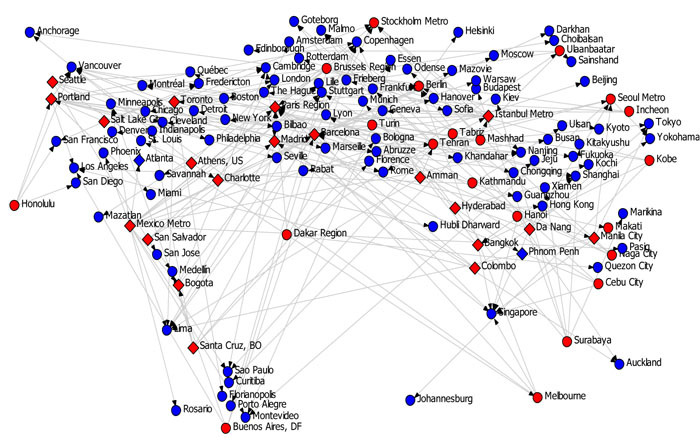 Data show that cities are making thousands of technical visits each year to other cities. Private, public and civic leaders travel from Manila to Singapore, Portland to Amsterdam, Ulaanbaator to Darquian, Curitiba to Mexico City. Cities big and small are going in a hundred different directions to find answers, and when they do they often innovate. This session will cover the many topics that cities are exploring; the secrets of successful cities, like external knowledge gathering, clouds of trust, and tissue of remembering; and the long term implications of cities learning from each other. Tim Campbell is the Chairman at Urban Age Institute, an NGO dedicated to leadership, learning and city to city exchange and formerly 17 years with World Bank in the urban sector. He holds a MCP from DCRP and a PhD from DUSP, MIT. Greek cities represent a typical example of the “paradox of intensification”. Although they are compact, car-restriction policies are absent, while cycle infrastructure are extremely limited, resulting in low levels of bicycle use. Younger age social groups have recently begun demanding more cycle infrastructures, while some local municipalities have developed new cycle networks. Public acceptance is a key factor for the success of these initiatives. The lecture will present two studies aimed: a) to explore, through social psychology methods, the intention of a Greek city’s residents to use a new cycle network and b) to plan the metropolitan cycle network of Athens using participative multicriteria methods. New evidence on the relationship between attitudes, norms, Perceived Behavioural Control, habit and intentions to cycle are presented, along with a methodological way to explore what is important from the cyclist’s point of view in cycle network planning. Dimitris Milakis is a Transport & Urban Planner, PhD (2006, National Technical University of Athens-NTUA). His research focuses on the nexus between the built environment and travel behaviour, while he is also interested in bicycle networks planning and design. He was recently awarded a Marie Curie Fellowship, for a joint UC Berkeley & TU Delft 2-year research project (‘New Compactism’). 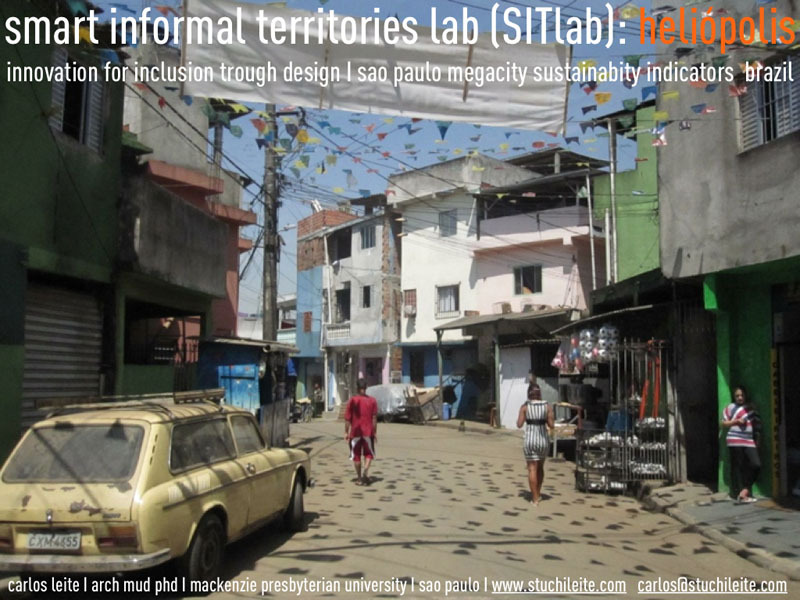 Professor Carlos Leite will describe his two recent research projects, “Indicators of Sustainability on Urban Development” and "Smart Informal Territories Lab in Heliopolis Slum" which look at the challenge of the Sustainable Megacity through Sao Paulo’s experience as a city of 20 million people, with expansion that ranges from formal urban development to the informal context of huge slums. This work signalizes parameters for a city that is reinventing itself through eco-urbanism after the "expanding and exhausting" model of the 21st Century when the city grew by 27,000% in population and 40,000% in urban territory in a country, Brazil, that has the 6th world highest GNP. Carlos Leite is an Architect and Urbanist who earned a Master's degree and PhD in Urban Design from the University of Sao Paulo and was a Postdoc at California Polytechnic University. He is a professor at the School of Architecture and Planning, Mackenzie Presbyterian University, Sao Paulo and Visiting Professor in various institutions, including CalPoly, Parsons/NY, IaaC/Barcelona and TU Eindhoven/Netherlands. He just released his first book: Cidades Sustentaveis, Cidades Inteligentes in Brazil (Bookman). He is principal at Stuchi & Leite Projetos: www.stuchileite.com. He is a Visiting Scholar at IURD and UC Berkeley. By the end of the 20th century, there were over 45,000 large dams in over 140 countries with purpose of flood control, water supplies, irrigation, and power generation copping with population growth and urbanization. Despite these contributions of dams, discontinuity of sediment transport by reservoir sedimentation and subsequent sediment deficit downstream have triggered a chain of riverine geomorphic changes such as riverbed degradation, channel incision, bank erosion and vegetation encroachment. The geomorphologic changes resulted in habitat simplification to aquatic communities and degradation of ecological functions in riverine ecosystem. In this sense, ‘sediment’ in dam downstream ecosystem doesn’t mean just a disaster caused by debris flow, but ‘resources’ able to maintain and restore ecological functions by continuity of sediment dynamism between up to downstream of dams. ‘Habitatology’ defined as “the science for analyzing habitat structure and elucidating mechanisms of habitat creation and maintenance” is a useful approach to find out ‘Physical (hydro-geomorphological) structure’ (as management object through a riverbed management) required for restoration of ‘Ecological functions’ such as biodiversity and material cycling. In this Roundtable session, dam impacts on downstream geomorphology and riverine ecosystem are presented, and then the comprehensive sediment management measures for restoring the ecological functions are introduced based on habitatology. The presentation will follow the evolution of urban planning in Tel Aviv, from its initiation in 1909 as a garden suburb of Jaffa, through the 1925 plan by renowned planner Patrick Geddes, the modernistic interventions of the 1930-40s, the war in 1948 and its spatial aftermath, the urban renewal projects of the 1950-60s, the city-center regeneration plans of the 1980s, up to present-day 'global' Tel Aviv. In each of these periods, it will highlight how planning at once constructed and confronted socio-spatial distinction, particularly between the city and its ‘South’ – a territory of originally unplanned and enduringly deprived neighborhoods. The economic performance of contemporary city-regions has increasingly been determined by their urban agglomeration characteristics, along with their transportation network patterns. Despite the importance of understanding efficient geographic settings in economic development strategies, integrated landuse/transportation models become more complex and the empirical findings still remain inconclusive. This study reviews a variety of simplified geographic measures and tests business agglomeration and rail network effects on economic productivity across 27 U.S. metropolitan areas. Fixed-effect regressions for the period 1998‐2009 show that (1) the effective density index for knowledge-based and manufacturing jobs in the central business districts; (2) Moran’s I statistics in the knowledge‐based business sector within the metropolitan areas; (3) airport‐railway connection dummy; and (4) rail-network complexity index significantly explain both aggregate wage per worker and gross metropolitan product per capita. Although empirical results depend highly on the selection of geographic indicators, the combination of polycentric business densification and rail network evolution is basically a right strategy to increase the competitiveness of U.S. city-regions in the global economy. Chairman of the Executive Committee, Sutter Securities Inc. and Advisor, Zanbato, Inc. Co-Founder and Vice-President of Operations, Zanbato, Inc.
Zanbato, an electronic platform whose mission is the technical disruption of the traditional manner in which the infrastructure asset class has been developed and financed since the time of the industrial revolution is the vision of Professor Ryan J. Orr. The Zanbato platform has been designed to capture and efficiently realize the transactional opportunities of a global marketplace. This presentation shall provide a specific preview of Zanbato's overarching power as the exponential matchmaker for global infrastructure projects. We often face questions related to choices of urban developments and transport policy. My interest regards the reduction of greenhouse gases, impacts on biodiversity and social acceptability at a local scale. Through integrating models, I am working on coupled models of energy, transport and land use to characterize interactions between urban, interurbans, rural and natural areas. Computer science and applied mathematics play an important role in the calibrating and converging process. Since these models are calibrated “by hand” with a static technique, they consume a lot of human and time resources. As a result, the diffusion of this type of tool has lessened. A needed semi-automatic calibrationsystem is in the process of development, but many complicated optimization techniques are required. The Mediterranean city is a colorful example of urban diversity. The all-encompassing urban life-cycle theories of the post-war era had difficulties in categorizing it. Cities in Portugal, Southern Italy, Greece and Spain weren’t industrialized enough or adequately planned, yet they were vibrant places to live in, also displaying rapid economic growth indicators. Since the early 1990s, a number of writers approach Mediterranean cities as particular, shaped by distinct urbanization processes. This talk sketches the Mediterranean city thesis, to argue on its relevance to current spatial policy shifts towards ‘local competitiveness’. The focus is on Greece. What has been witnessed during the past two decades in Greece is an attempt by the national authorities to restructure state spatial organization. Consecutive waves of territorial governance experimentation, ranging from the 2004 Olympic Games to the latest state spatial restructuring wave (2010), aimed at forwarding the local competitiveness goal. The rescaling dynamism set in motion is acknowledged. What is also going to be discussed, however, is the associated risks, viewed in light of the particularity of the country’s urbanization and urban governance traits, and the path dependent character of state spatial forms. In Europe public spaces, intended as a network of structured sequences of collective themes, are mostly linked to timeless and beautiful historic cities. But the contemporary European city actually includes also that very large part outside the historical perimeter, namely those modern suburban areas, often empty of public spaces, where people live, work and spend their time every day. Two different spatial and urban conditions, two different way of inhabit and living. While at Berkeley, the research will focus on the comparison between the European model and American one regarding public spaces, both for consolidated areas and for suburban ones. The aim is to define existing physical values, intended as a legacy of the past and as an expression of a specific culture, and new human and social meanings derived from everyday life and activities of neighborhood communities, related also to the morphological design of urban places. Carolina Maziviero on " Privatism in Santos Urban Management for Over a Century"
This article analyzes the logic of economic privilege in the land regulation in the city of Santos, a municipality in the state of São Paulo, Brazil, where is located the largest export port of Latin America. This article argues that this logic remains since the late nineteenth century until today. The research compared three cuts, both in urban space and in time, which were expansion vectors on the city urban development over a century. By this historical comparison, the article aims to discuss the current strategy of urban planning as it seems, at the beginning of a new millennium, to reproduce the shortcomings of the past to the extent that it assures the reproducibility of the capital and excludes some social groups of the improvements in the legalized city. In conclusion, the logic of capital linked to urban planning becomes a powerful political tool to support the space needs of a speculative economy. This logic dissolves the state's responsibility to all social classes, in addition to its responsibility to combat inequalities. Anna Serra Llobet on "Floods, Risk Perception and Land-use Planning: A Compartive Study Between the US and the EU"
Perception of flood risk by floodplain residents is a key factor in understanding land-use patterns. In the Sacramento-San Joaquin Delta, even highly-educated residents of new subdivisions do not understand their actual risk of being flooded (Ludy & Kondolf in review). As EU member states implement the EU Flood Directive, issues of risk perception and land-use planning become key. This research compares national policies and resulting incentives for local land-use decision making in the EU and US, with specific case studies in Spain and California. Sonja Deppisch on "Applying Urban Resilience Thinking to Spatial Planning– Gains and Trade-offs for Climate Change Adaptation Strategies"
In the discussion on how to deal with future climate change impacts in spatial planning, the idea of urban and regional resilience as well as social-ecological resilience attracts increasing attention. Within this presentation, resilience is understood as the capacity of an urban region to absorb climatic stimuli and their effects and to reorganize as to maintain and further develop / transform the essential social and ecological functional and structural properties, while undergoing change (Walker, Salt 2006; Walker et al. 2004; Holling 2003; Berkes et al. 2003). This presentation relates resilience thinking to spatial planning within the context of strategies to deal with climate change impacts in urban regions. Potential gains as well as trade-offs that might occur through applying this perspective as an analytical tool as well as a guiding principle or metaphor are discussed and related to the challenges climate change imposes to planning ethics. The findings are based on theoretical and conceptual thoughts and informed by (still ongoing) case studies in Stockholm (Sweden) and Rostock (Germany) as well as an ongoing transdisciplinary research process together with stakeholder and planning practitioners in the urban region of Rostock (Germany). Lionel Devlieger on "From Research to Design and Back Again: The Practice of Rotor, Brussels-based Collective"
Founded in 2005, Rotor is a group of architects and designers interested in material flows in industry and construction, Founded in 2005, Rotor is a group of architects and designers interested in material flows in industry and construction, particularly in relation to resources, waste, use, and reuse. In 2010 they represented Belgium at the Venice Architecture Biennial with an exhibition that explored wear as a reaction to use in architecture and as a potentially creative process. More recently they were invited by the Office for Metropolitan Architecture to design and curate an important overview of OMA’s work; the exhibition OMA/Progress opened last month at the Barbican Art Gallery in London. Jin Murakami on "Transit Value Capture in Asia"
Mega-transit projects generate large amounts of fiscal deficits in many global cities and necessitate some kinds of cross-subsidies, including "value capture". Tokyo and Hong Kong are often introduced as successful examples of new town co-development practices to capture the accessibility benefits produced in suburban real estate markets. Yet, the ability of massive housing co-development to generate residential suburbanization effects and adequate non-fare revenues is questionable in de-industrializing, aging, and/or shrinking global cities. This study sheds light on non-fare revenue streams and corridor-level market profiles in Tokyo and Hong Kong for the last decade. Comparative case studies and empirical analyses reveal that (i) corporate net profits were increasing through property management and service businesses, while profits on railway and property development projects were dwindling or fluctuating under the recent economic recession and (ii) entrepreneurial co-development practices were likely to gain greater downstream benefits from knowledge production in urban business clusters than service consumption in suburban bedroom communities. From the market profile update, I draw three lessons to apply the Asian co-development models for other global cities. Julian Wekel, Professor and Chair of Urban Design and Regional Planning at Darmstadt University of Technology on "Renaissance of Berlin as an European Metropolis"
This presentation will give an overview of twenty years of urban development in the re-united German capital. Starting with the discussion of strategic visions and goals, showing instruments and procedures of urban design and planning for their implementation, and leading to present urban and architectural qualities. Further future perspectives of plans and projects will be highlighted. Zhong Xing, Professor Faculty of Architecture and Urban Planning, Chongqing University, China on "Peri-Urban Greenspace Preservation in Intelligent Response to Local Conditions—Case Study in China"
Urban area is strongly influenced by conditions of the immediately surrounding peri-urban greenspaces, which provide considerable insight into the spatial structure, functioning performance, ecological quality and potential planning of the city area as a whole. The topic will be discussed in conjunction with the planning of a major portion of a peri-urban area of Baoji city in China, and will specifically illustrate how to bring the concept into planning practice. It will highlight the functioning land-use integrity of the totality of greenspaces, and the development potentials associated with built-up urban areas. Lucas Griffith, Fellow of Urban Design and Development, Department of Industrial Economics, Risk Management and Planning on "Jattavagen: An Automotive Culture in Post-Industrial Norway"
Movement through the streets of a Norwegian post-industrial residential redevelopment site was recorded through behavior observation and radar-based traffic counts. The preliminary interpretations of these data characterize the neighborhood as an automotive space while the actual design of the physical space promotes the pedestrian. Yasushi Iwabuchi, Researcher at Kumato University on "Proximity: Local Development and Participatory Democracy in France"
Each country has own character of civic participation. This presentation focuses on local development of Bordeaux. Thanks to the success of Tramway in 2003 and its having been registered as a world heritage site in 2007, Bordeaux is considered a sustainable city in harmony with urban-ness and culturde. 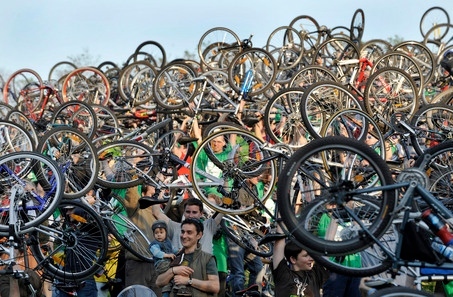 Our questions are: How does Bordeaux city achieve its sustainability as a city? What kind of changes can we find in the process of local development? How does the mayor use civic participation for public policy? To answer these questions, we analyze the word, proximity (proximité), as the character of French participation. And we analyze French decentralization,the local government system and the reinforcement of mayorâl leadership. While in residence, IURD Visiting Scholars are expected to actively participate in the Visiting Scholars Roundtable series and to volunteer to give a talk about their research interest at one of the Roundtables.